I was going to make some juvenile post about Charlie Brown and Linus being gay. Maybe just posting that second-to-last panel with the title: "Your Out-Of-Context Peanuts Panel Of The Day" or something. But then I noticed something really disturbing. 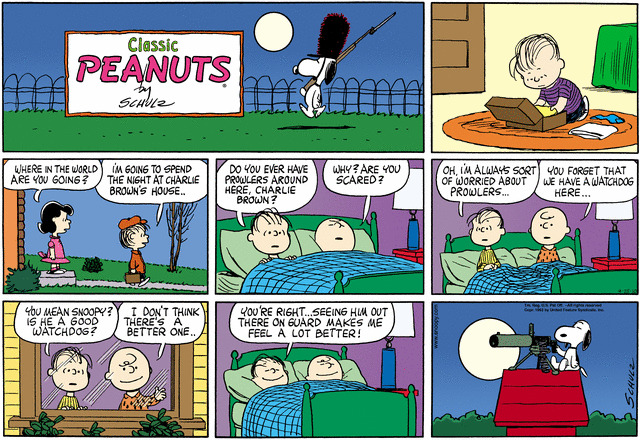 Snoopy is pointing the gun at Charlie Brown's house, not away from it as if to guard against possible intruders. 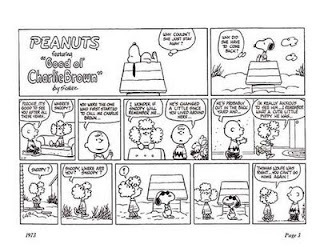 Now I'm not one to question Charles Schulz's motivation for doing something like this, or what might've been going through his subconscious at the time, I'm just saying that Snoopy's house is always shown to the right of Charlie Brown's. 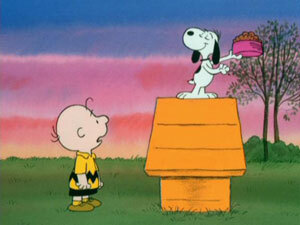 Which means that Snoopy's machine gun is pointed right at Charlie Brown's house. Maybe he's got it trained on Linus, as he is something of an intruder. Maybe this is why we've never actually seen any parents in the Brown household. Maybe this is the reason why Sally isn't in the strip. Maybe Snoopy is holding Charlie Brown's baseball gear hostage. All I'm saying here is that something really sinister is going on in what most people generally dismiss as a kids' comic. It isn't just you. 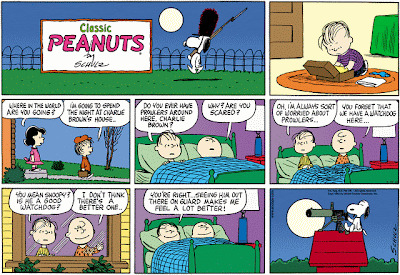 Snoopy is definitely pointing a big machine gun at Charlie Brown's house. 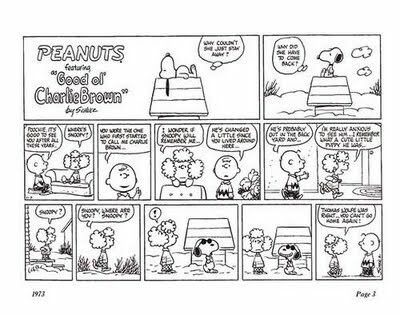 You know, Snoopy could've been legitimately turned back towards the house saluting Charlie Brown as the gun was still pointed to the right. Plenty of other options along those lines, too, if you wanted to look for them. So I'm going to stick to my guns (if you'll excuse the pun) and say that stupid beagle has it in for Chuck. 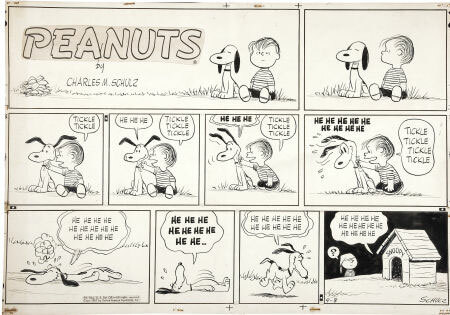 This is a rare panel of the other side of snoopy's house.